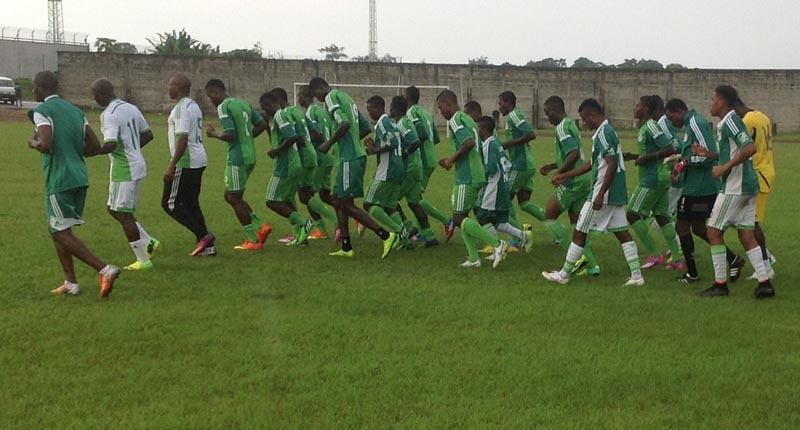 Nigeria’s U-23 Eagles, known as Dream Team, will be battling with Egypt, Senegal, Ghana, Sudan, Zimbabwe, Burkina Faso and host Congo-Brazzaville for the gold medal of this year’s All-Africa Games’ Men’s football event. The Pharaohs conquered Burundi with 2-0 wins each leg, while Senegal reached the games on the away goal rule at the expense of Mali, following a 2-2 draw in Bamako and 1-1 draw in Dakar. Ghana edged Mozambique 2-1 on aggregate after a 2-0 win in Accra on Sunday, and Sudan, Zimbabwe and Burkina Faso also edged South Africa, Cameroon and Cote d’Ivoire by the same aggregate scoreline. Cameroon drew 1-1 with Zimbabwe in Yaounde on Sunday after losing the first leg 1-0 in Harare; South Africa failed to qualify after they could only beat Sudan 1-0 following 2-0 defeat in Khartoum and; Burkina Faso forced Cote d’Ivoire to a 0-0 draw in Abidjan after winning the first leg 2-1. In the women’s event, Nigeria’s Super Falcons will battle with familiar foes Ghana, South Africa, Cote d’Ivoire and Cameroon, as well as Tanzania, Egypt and host Congo-Brazzaville for the gold medal.